!Eat in kitchen also with VAULTED CEILING.. FRONT TWO BEDROOM Has private bath.. Master is at rear of home and has separate walk in closet and full bath... garage is finished with peg board...beautiful spring ANNUAL land scaping coming in now... 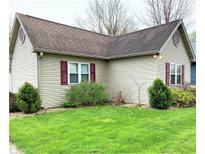 Newer furnace, A/C and ROOF... MLS#21631140. F.C. Tucker Company. Summer Ridge - Exterior offers a large covered front porch and a large deck overlooking an expansive open area with ponds & walking trail. See today! MLS#21630751. Carpenter, REALTORS®. POND VIEW, 3 car garage, bonus room in the master suite. Freshly painted neutral colors throughout! 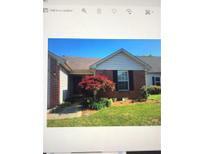 MLS#21629471. Triple E Realty, LLC. 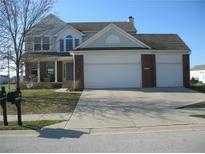 Northfield At Wynn Farms - Upstairs Loft/Family Room and 3 other Bedrooms for quiet enjoyment. MLS#21630713. United Real Estate Indpls. Brown Leaf - Great location for local shopping travel. MLS#21630960. RE/MAX Centerstone. Sunny Knoll - Oh- and don't forget the automatic gate for ease of access to the garage! MLS#21630732. New Dimensions in Real Estate. Murphy Meadows - FEATURES: 21 X 18 rear paver patio with pergola, deeper fenced rear yard, 20 x 6 front deck, over sized one car garage with attic storage, exposed hardwoods in bedroom 2 & 3, built in wood book shelves, updated raised panel 36" & 42" kitchen cabinets with TWO FLOOR TO CEILNG PANTRY CABINETS, larger 16x12 master bedroom with THREE CLOSETS, ceiling fans throughout, crown molding, wood panels, surround sound in great room, can lights in several rooms, etc.....ADDED BONUS: walking distance to newly constructed BROWNSBURG downtown center! MLS#21630902. RE/MAX Advanced Realty. Northridge - It's like vacationing everyday in the Fenced backyard w/HEATED POOL (AUTO COVER) , BASKETBALL CT & plenty of yard left for playing! Tremendous VALUE! MLS#21630607. Carpenter, REALTORS®. Lake Ridge - Spacious kitchen with island. Wired for whole-house speakers/surround sound. MLS#21630658. Mentor Listing Realty Inc.
All appliances including the Washer & Dryer stay! No HOA. 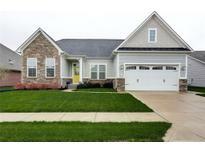 MLS#21629771. Heroes Property Group. 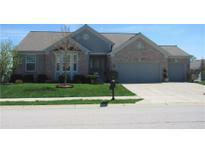 Minutes from Brownsburg High School as well as recreational parks, downtown Brownsburg, and easy access to I-74. MLS#21630085. RE/MAX Advanced Realty. Don't miss out on this brick ranch with new A/C unit, furnace and water heater in 2018, 3 year old roof, new sliding glass patio doors and windows 2017, fire pit & pergola 2018 and flooring in 2017. MLS#21629030. Trueblood Real Estate. Ashwood - Home also offers an outside storage area perfect for keeping your finished garage ready for the cars vs. lawn equipment. Come check it out today! 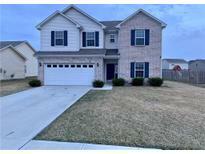 MLS#21629814. eXp Realty, LLC. Starkeys - All of this at an eye-popping great price. Better hurry. MLS#21627906. F.C. Tucker Company.